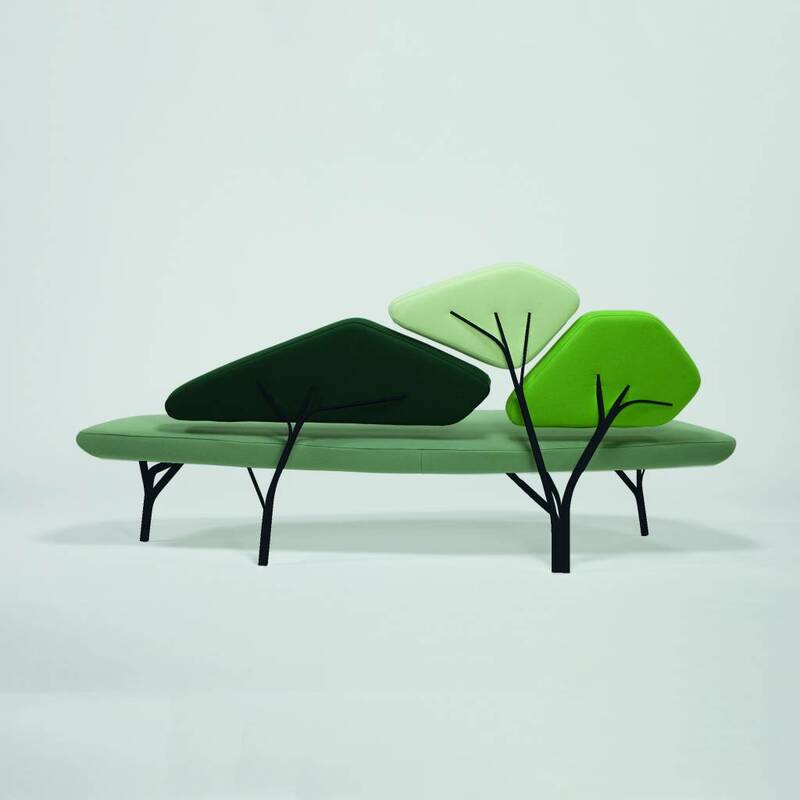 A sofa that goes out on a limb. Borghese is a light sofa inspired by the stone pines of the Villa Borghèse in Roma. 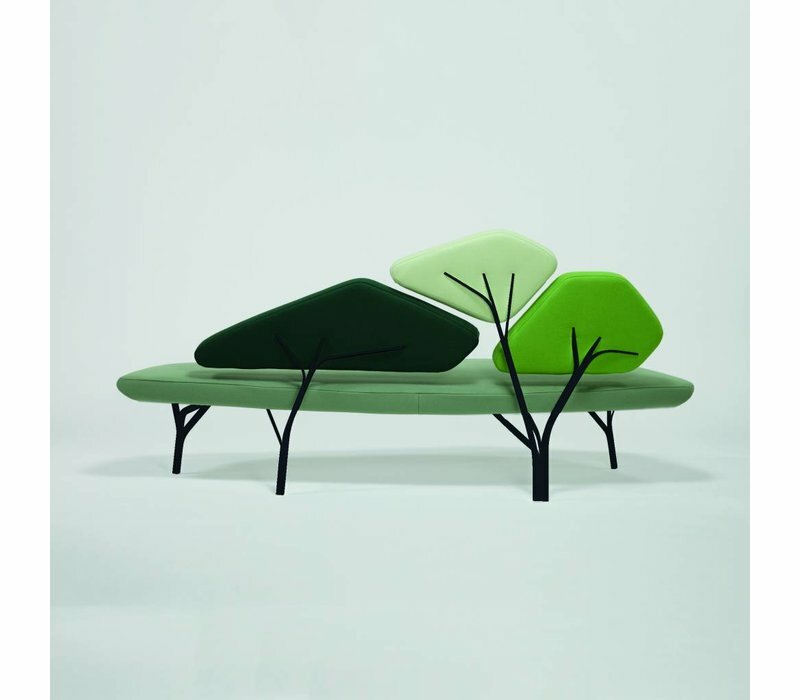 The metal structure reproduces the network of branches and supports the back cushions, with the ensemble creating a comfortable landscape. Designed by Noé Duchaufour Lawrance, one of the most innovative and active designers of the last decade. More of a sculptor than a designer, his trademark organic and natural shapes can be found in his furniture as well as in the spaces he designs worldwide.